August 20, 2016 – GW Episode 10: Lacey Lane defeated Trish Adora. August 25, 2016 – ACW: Aria Blake and Trish defeated Ashley Geiger and Lacey Lane. August 30, 2016 – PW2.0: Lacey Lane defeated Jon Cruz. September 24, 2016 – IGNITE: Kennadi Brink defeated Lacey Lane. November 1, 2016 – PW2.0: Lacey Lane defeated Trish Adora. November 18, 2016 – IGNITE: Lacey Lane defeated Trish Adora. December 3, 2016 – FTPW: Brandi Lauren and Lacey Lane defeated The Kawaii Killers (Aria Blake and Lindsay Snow). December 29, 2016 – PW2.0: Lacey Lane defeated Jon Cruz. February 11, 2017 – AWE: Brandi Lauren defeated Amber Nova and Lacey Lane in a 3-way match. February 18, 2017 – FTPW: Brandi Lauren defeated Lacey Lane to win the vacant Ladies title. March 28, 2017 – PW2.0: Lacey Lane defeated Jon Cruz. March 29, 2017 – AWE: Lacey Lane and Matt Knotts defeated Dezmond Xavier and Trish Adora. March 30, 2017 – OCW/FTPW: Lindsay Snow defeated Brandi Lauren and Angel Rose and Brooke Danielle and Chrissy Rivera and Lacey Lane and Trish Adora and Willow Nightingale and Aria Blake in a gauntlet match to win the FTPW Ladies title. April 8, 2017 – PPW: Angel Rose and Mr. 450 defeated Lacey Lane and Teddy Stigma. April 15, 2017 – IGNITE: Lacey Lane defeated Chuckles. May 17, 2017 – FEST: Lacey Lane and Shane Strickland defeated Pop Culture (Jason Cade and Veda Scott). July 1, 2017 – PPW: Lacey Lane defeated Hawlee Layne. July 22, 2017 – IGNITE: Lacey Lane defeated Maxx Stardom. August 28, 2017 – AWE: Thunder Rosa defeated Lacey Lane. October 3, 2017 – PW2.0: Lacey Lane and Mecha Wolf 450 defeated Chuckles and Vertigo. November 29, 2017 – The Crash/DTU: Keyra and Tiago defeated Christi Jaynes and Zumbi & Lacey Lane and Pegazus in a 3-way tag team match. December 3, 2017 – The Crash: Keyra defeated Lacey Lane to retain the Feminil title. December 5, 2017 – PW2.0: Angel Fashion, Jesus Rodriguez and Joey Ryan defeated Kennedy Kendrick, Lacey Lane and Mecha Wolf 450. December 9, 2017 – WUW: Keyra defeated Jenny Rose and Lacey Lane in a 3-way match. December 10, 2017 – Aro Lucha: Keyra and Lacey Lane defeated Taya and Vanilla Vargas. January 9, 2018 – PW2.0: Laurel Van Ness and Santana Garrett defeated Lacey Lane and Salina de la Renta to win the vacant women’s tag team titles. January 17, 2018 – ACW: Salina de la Renta defeated Lacey Lane to retain the women’s title. January 20, 2018 – The Crash: Lacey Lane defeated Keyra to win the Feminil title. Arkangel Divino, Keyra and M-ximo defeated Black Danger, Lacey Lane and Ultimo Ninja. January 27, 2018 – CWA: Kylie Rae defeated Lacey Lane and Thunder Rosa in a 3-way, 1st round match. February 8, 2018 – MLW: Santana Garrett defeated Lacey Lane. February 13, 2018 – PW2.0: Tessa Blanchard defeated Lacey Lane. February 16, 2018 – The Crash: Black Danger and Lacey Lane defeated Danny Limelight and Lady Flammer & Diosa Atenea and Douglas James in a 3-way tag team match. February 24, 2018 – NGCW: Santana Garrett defeated Lacey Lane by disqualification. Lane retains the Crash Feminil title. February 28, 2018 – PWR Episode 2: Machiko defeated Lacey Lane. March 17, 2018 – GW Episode 55: Lacey Lane defeated Black Diamond and Lexii Gomez in a 3-way elimination match. Kaci Lennox defeated Anna Diaz and Lacey Lane in a 3-way elimination match. April 14, 2018 – The Crash: Black Danger, Black Taurus, Lacey Lane and Lady Flammer defeated Christi Jaynes, Keyra, Luke Hawx and Rayo Star. April 28, 2018 – Sabotage: Lacey Lane defeated Fuego del Sol. May 9, 2018 – ACW: Lacey Lane defeated Jay Rios. June 5, 2018 – PW2.0: Lacey Lane and Tessa Blanchard defeated Eric Lockhart and Kennedy Kendrick. June 15, 2018 – Promociones Martinez: Faby Apache vs. Lacey Lane ended in a time limit draw. June 23, 2018 – WildKat: Lacey Lane defeated Barbi Hayden. 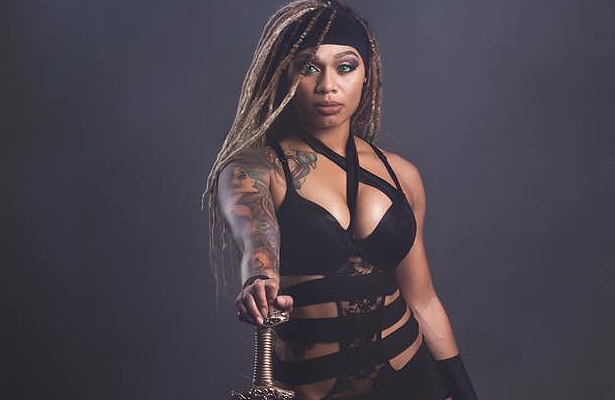 Lacey Lane has signed a contract to World Wrestling Entertainment. September 5, 2018 – Mae Young Classic (Taped): Lacey Lane defeated Vanessa Kraven in the 1st round. September 28, 2018 – NXT Live Event: Lacey Lane was in the #1 contenders battle royal for the women’s title won by Jessie Elaban. October 4, 2018 – NXT Live Event: Kavita Devi and Reina Gonzalez defeated Jessie Elaban and Lacey Lane. October 17, 2018 – Mae Young Classic (Taped): Meiko Satomura defeated Lacey Lane in the quarter-finals. 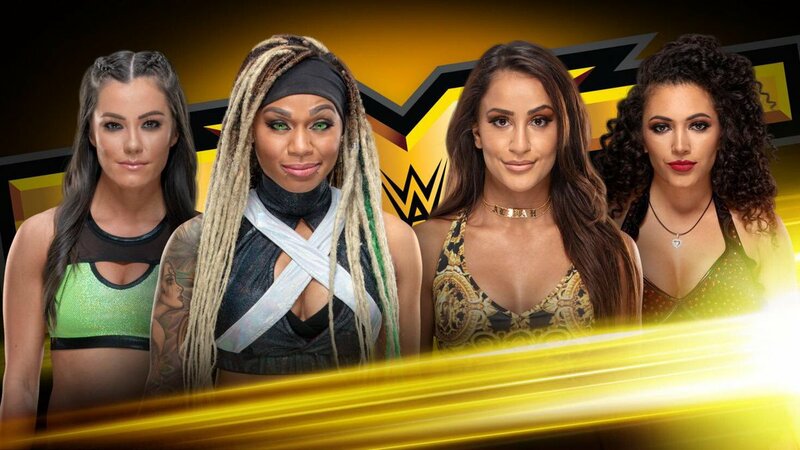 December 13, 2018 – NXT Live Event: Lacey Lane defeated Reina Gonzalez. 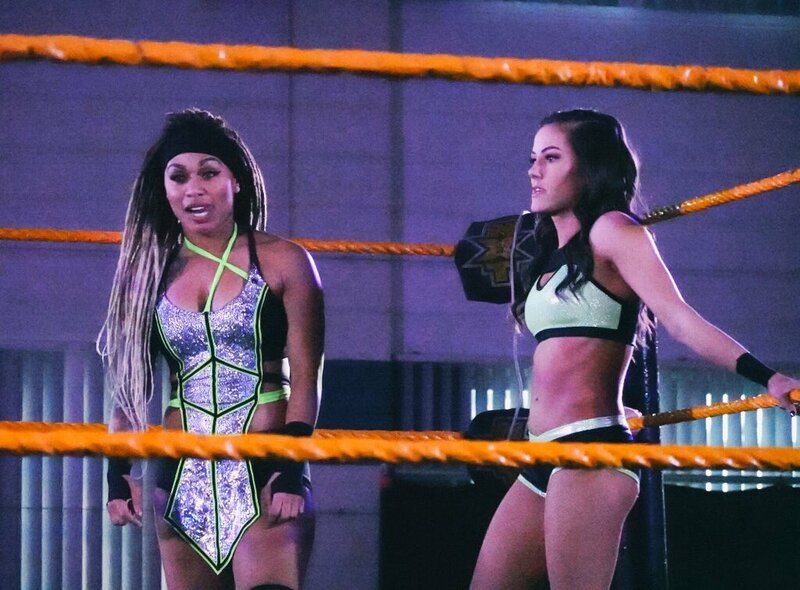 February 7, 2019 – NXT Live Event: Reina Gonzalez and Rhea Ripley defeated Lacey Lane and Mia Yim.